Voted 'Best Local Band in Nashville' by the Tennessean, the four classically trained musicians of Harpeth Rising bring an exciting and distinctively new sound to the folk genre. With a banjo and a fiddle, you might think they're traditional bluegrass - but think again. Cello and hand drums round out the ensemble, creating a truly unique sound. Their virtuosic instrumentals are coupled with intimate vocals and sincere lyrics. The group met at the Indiana University School of Music and were united, and continue to be driven by, their eclectic musical interests. A little bit bluegrass, a little bit classical, a little bit folk and a whole lot of original, Harpeth Rising is a band to watch. The quartet has recently begun promoting their latest project: an album of songs written by David Greenberg, father of Jordana Greenberg, the band's violinist. Harpeth Rising has been performing songs by David Greenberg for several years to much acclaim, and fans have requested this project for some time. 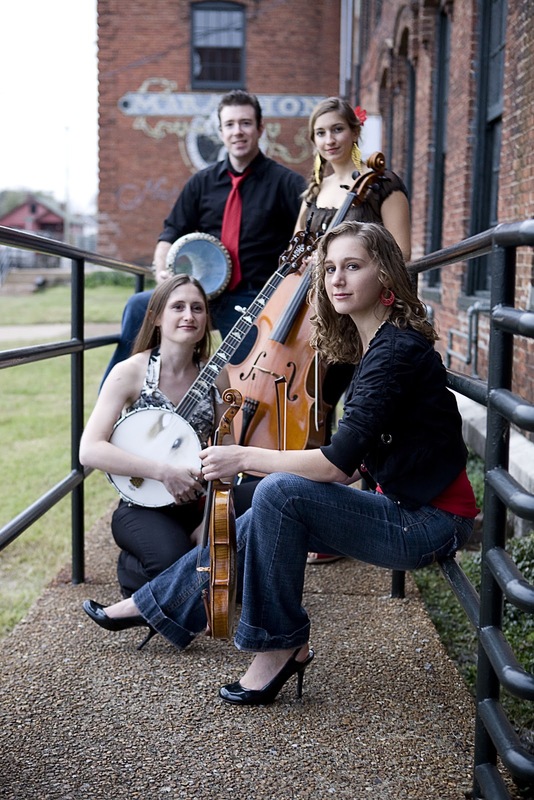 Before the release of this album, Harpeth Rising's touring was largely focused on promoting their second album: Dead Man's Hand, produced by multiple Grammy-winner, Bil VornDick (Alison Krauss, Bob Dylan, and Bela Fleck). Some of this season's highlights have included appearances at the Cambridge Folk Festival, The Frome Festival, Woodsongs Old-Time Radio Hour, and ROMP Music Festival (alongside artists such as Emmylou Harris and Steve Martin). Harpeth Rising will be playing two dates in Alabama at the end of September. Their first stop will be at Moonlight on the Mountain in Birmingham on September 27th at 7:30pm. Admission is $15 at the door. They will continue on to Auburn for the Sunadilla Acoustic Concert Series on September 28th at 7:30pm at the Auburn Unitarian Universalist Fellowship (450 E. Thach Avenue). Tickets are $12 at the door or $10 in advance at The Gnu's Room (414 S. Gay Street). Both series offer a wide array of folk, blues, country, and bluegrass music.